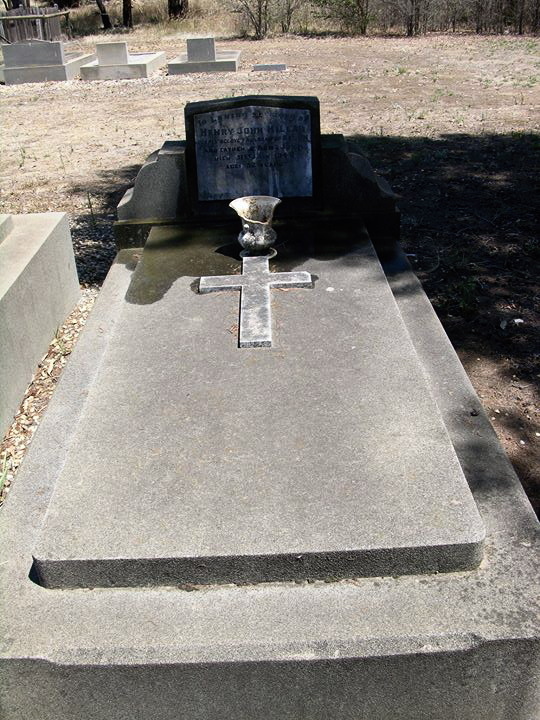 Sergeant Millar died from a self-inflicted bullet wound on Sunday 1 August, 1948 at Corowa police residence. No further details are known. The West Australian dated 2 August, 1948 reported the death as follows. POLICE SERGEANT FATALLY SHOT SYDNEY, Aug. 1: Sgt. John H. A. Millar (56), whose recent absence from his police duties was being investigated by a high-ranking officer, died in the Corowa hospital last night after he had been found with a revolver wound in the head at his home, adjoining the local police station. An inspector from Albury was walking around the side of Sgt. Millar’s home when he heard a shot and rushed inside to find him lying on the floor dying. Sgt Millar was said to have been extremely worried recently over his official duties. The sergeant was aged 56 years at the time of his death and was stationed at Corowa. Sergeant John H. A. Millar, 56, who had been in charge of the Corowa police station for two years, died in the Corowa Hospital on Saturday night from a bullet wound in the head. A police report states that, soon after Inspector Yardy arrived at the police station to investigate a report that Sergeant Millar had been missing from the station for a few days, he heard a shot. Going round to the quarters occupied by Sergeant Millar, Inspector Yardy found him lying on the floor. A police revolver was near Millar. He had been shot through the head. Sergeant Millar was rushed to hospital, but died a short while after admission. Sergeant Millar’s wife, who was in Sydney, returned to Corowa last night. Sergeant Millar was a prominent bowler, and was popular in the town. SYDNEY, Sun( 1 August ): Sergeant J. H. A. Millar, 56, sergeant in charge of Corowa police station, was found shot in his home behind the station late yesterday afternoon. He died soon after reaching Corowa Hospital. He was found by Police Inspector Yardley, of Albury, who had gone to Corowa to investigate a report that Sergeant Millar had been missing from the station for several days. Inspector Yardley heard a shot as he neared the station. He found Millar lying on the floor with a revolver beside him. A former Wagga police sergeant, who was found at the rear of the Corowa police station on Saturday night with a bullet wound through his head, died shortly after being admitted to the Corowa Hospital. HE was Sergeant John A. Millar, 52, offlcer-in-charge of the Corowa Police Station. Millar was found by Inspector Yardy, who had gone from Albury to Corowa to investigate a report that Millar had been missing from the police station for a few days. Millar had not been on duty for three days. Inspector Yardy, accompanied by Sgt. McGuiness, of Albury, arrived at Corowa on Saturday afternoon and interviewed Millar at his home, which adjoins the police station. Millar was resting at the time, but agreed to accompany the two police officers to the station. He went outside for a few minutes and a shot was heard. Inspector Yardy rushed out the back and found Millar lying on the ground with a bullet wound through his head. Millar is said to have been worried a good deal lately over his police duties. As soon as news of the tragedy was received, Superintendent Parmenter, of Wagga, left for Corowa and took over inquiries with Inspector Yardy and Detective Munro, of Albury. Inspector Parmenter will return to Wagga today after the funeral at Corowa, which he will attend. Millar’s wife, who was holidaying in Sydney, returned to Corowa yesterday, accompanied by her son, who is a member of the police force. Sgt. Millar was well-known in Riverina. He took up duty at Holbrook after being transferred from Sydney and was stationed there about two years before coming to Wagga. After about eight months service at Wagga, he was transferred to Corowa last year as officer-in-charge.